Chaos emerged last Saturday at Port-au-Prince where two male partners were holding a private engagement ceremony. The British national and his male partner were attacked with rocks and molotov cocktail by angry locals. In an attempt to prevent loss of human life, Haitian Police arrived just in time. According to rights advocates the act was not justified. One of the homosexual's rights defenders condemned the action saying that it was homophobic act. The homosexual community followers are now pushing for justice to be done. They believe that the perpetrators are guilt of crime. The full identity of the attacked gay couple could not be determined in full. The British man was only identified as a Red Cross employee named Max. Max was hesitant to public discussions after the incident. He feared exposing his Haitian partner an action that he feared would lead to more homophobic acts of violence. During the attack an unidentified number of people were injured. Two cars were set on fire and the angry mob broke the windows at the ceremony's venue. 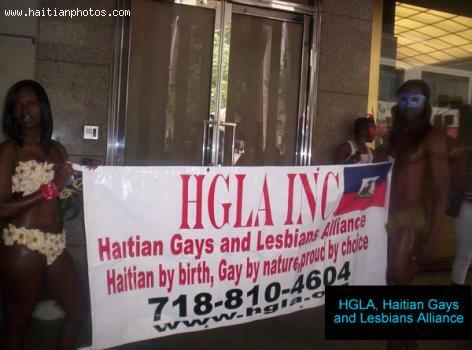 Gay activities have received constant resistance from the Protestant church in Port-au-Prince. As the church conduct street demonstrations to express their dissatisfaction the gay community and Gay rights organizations have expressed shock at the happenings of Saturday.